The Flash Wood Warriors Action Figure stands 8-inches tall and is ready to fight bad guys! 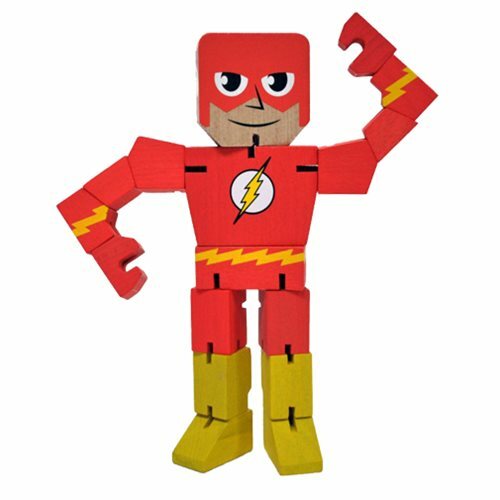 Packaged in faux-organic window box packaging, this solid wood hand-painted action figure comes fully articulated to sit, stand, stop Gorilla Grodd, and fight on your desk or anywhere toys go on adventures. Ages 3 and up.